Recently honoured with a Lifetime Achievement Award by the Ards International Guitar Festival in Northern Ireland. Sarah also draws critical praise for her voice (which has been variously likened to malt whiskey and melted chocolate) and her engaging rapport with audiences: “I’ve attended hundreds of concerts of all kinds, and her subtle mastery onstage launches her straight into my fave shows ever,” The Huffington Post. 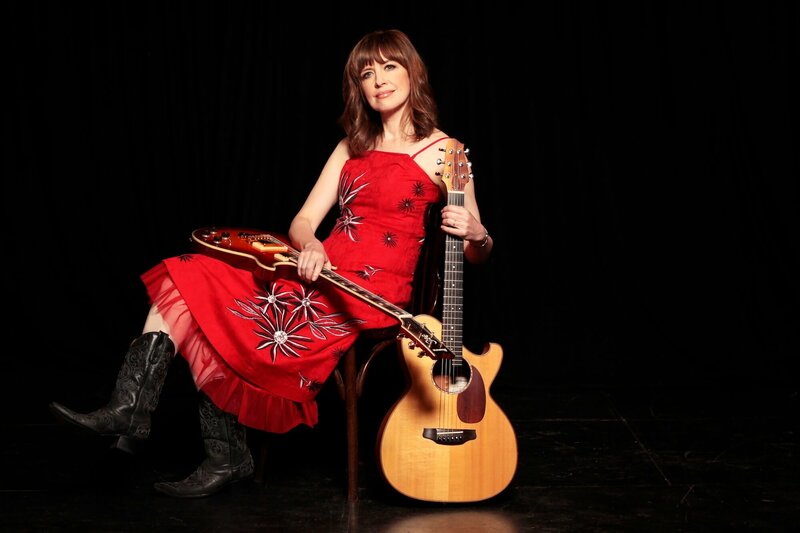 Sarah’s fifth album If We Dig Any Deeper It Could Get Dangerous, was produced by cult guitar great Michael Chapman, memorably described as a “granite-faced 76-year-old Yorkshireman – hailed by the likes of Meg Baird, William Tyler and Ryley Walker as the godfather of new cosmic Americana” (The Guardian). The emphasis this time around is very much on Sarah’s superb writing (including instrumental originals as well as songs) and delivery, plus arrangements for guitar and voice of the medieval chant “Dies Irae” and Jeff Wayne’s Classic “Forever Autumn”.